I've recently partnered with Gumtree to sell some of my curated accessories collection exclusively on their platform! These handpicked accessories are minimalistic, simple and goes well with practically any outfit. I myself have been loving them – I'm sure you will too! 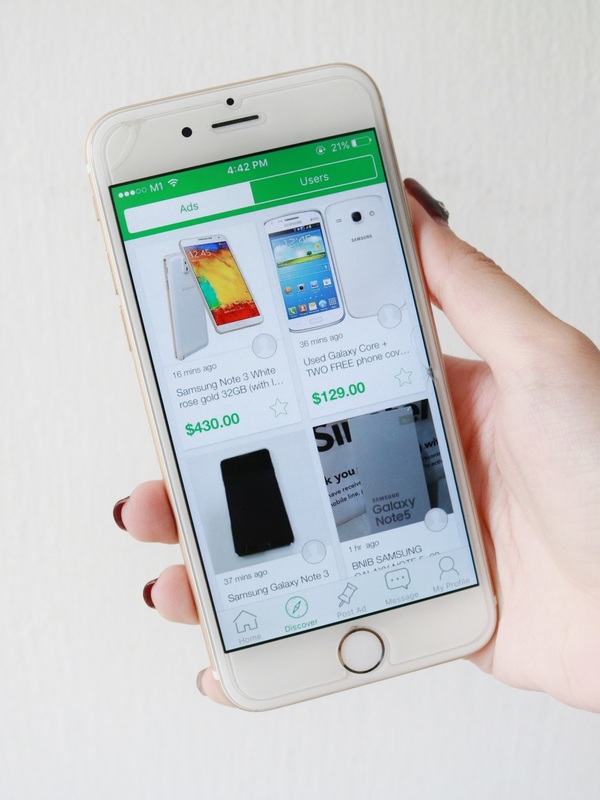 Anyway, if you're wondering what Gumtree is, it is actually Singapore's number 1 free online classified platform where individuals can buy and sell a variety of products! You can practically find anything on the Gumtree platform – from clothes to wardrobe, to tables, vanities and also make-up products. Other than that, one can also look for job listings or services such as part-time jobs or part-time maids. Personally, I've been on the lookout for dogs and I've found some really cute ones on Gumtree! Besides, buying and selling products are really simple on Gumtree. All you need to do is to send a message to enquire, and sellers can reply on the go with the 'messaging' function on the Gumtree app! 2. Posting an ad is so easy! I love the fact that posting ads and listing my items for sale can be done easily in 3 minutes. To do so, simply click 'post ad' then upload your photos, input the details of your product or ad, and you're done! That also means that I'm able post ads up on Gumtree on the go, whether I'm on the public transport to work or just laying in my bed) because it is really that convenient. Particularly, I like the 'Discover Ads / Users' section because it makes browsing for product ten times easier! The 'Discover Ads' section features ads based on my search history and recommends products that you might be keen in. I was searching for iPhones on Gumtree and hence the section showcased a number of smartphones ads. The 'Discover Users' section features all the exclusive sellers on Gumtree, and it's great because these users offer exclusive products or discounts only on Gumtree! I think it's important for sellers to have their own profile that's customizable to suit their different styles. One can easily edit their profile picture and banner on their page to suit their needs. For example, if I'm having a sale on my page, I can change my banner to something that is visually-informative to inform my followers of the sale! Editing my profile is also a breeze on the new Gumtree interface! Seen anything you like? You can shop my collection exclusively on Gumtree today! To shop, simply send me a message on Gumtree on one of my product listings and I'll get back to you really soon! for $2 off your total bill! This post is brought to you by Gumtree.